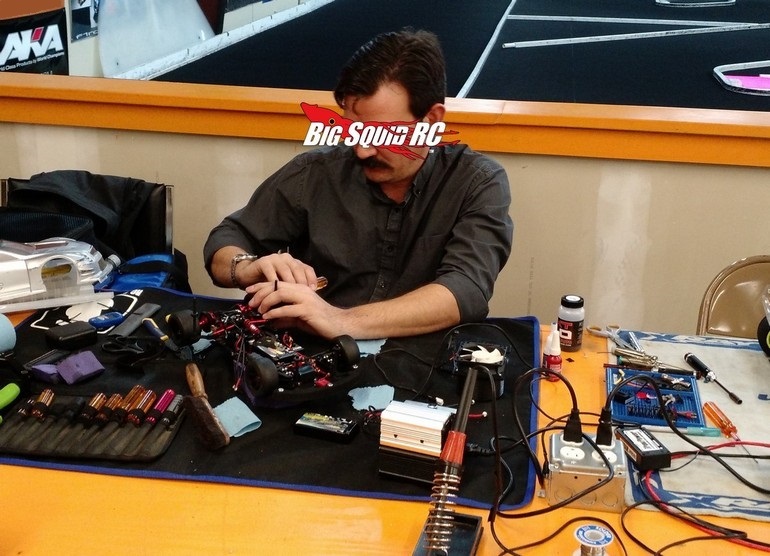 THE Cub Report – It’s Monday, Let’s Talk « Big Squid RC – RC Car and Truck News, Reviews, Videos, and More! Hello friends, thanks for joining us here at BigSquidRC. Today is Monday, the day when I post a real hodgepodge of happenings, thoughts, and rants about the remote control industry. So what’s up? First up, we posted info regarding our first ever scale crawling event earlier today. The Mud, Rocks, and Tears Scale Showdown has been in the works for a super long time, finally the stars have been able to align to set this thing off. We were wanting to do something to help promote the scale crawling scene, but we also wanted it to be in true Big Squid style, meaning laid back, low or no entry fee, minimal rules, and the ability to pretty much bring any truck ya want to drive with. There was no way we could pull an event off this big by ourselves, so we got with the St Louis RC Freaks to work with us. We’ve worked with the Freaks before, they are a bashing group based off of FB who are a lot like our core group- very laid back and looking to have some fun while promoting the hobby. The STL RC Freaks have put on crawling events before, so we are totally stoked to be able to work with them on an event that we hope is not only loads of fun, but also helps to bring the rc community closer together. The crew at Horizon Hobby is the primary sponsor of the event (read- lots of free stuff for You guys!) and we are stoked to be working with them on this one. Oh and, speaking of Horizon, we haven’t posted it up yet, but they officially announced the date for the 2018 edition of their RC Fest. The second year of RC Fest looks to be somewhat different than the first, with a whole lot more activities for people to do. See, I get to writing a Cub Report and I haven’t fact checked at all, but I wanna say that there will be a giant area for people to come in with their trucks and bash, which would be hella fun, but don’t quote me on that. LOL. Actually they have a lot more going on this year, look for Tim to put up all the details in the next couple days. Oh and, sounds like there will be camping. If you are up for a killer road trip of bashing, hanging with the BigSquidRC crew, and camping, look into making the trip to Champaign. How about that Cross RC Demon SG4? Pretty cool looking truck, well actually, probably the coolest looking scale truck on the market. Brian posted up our review and video last week, and ya, that truck is just as gnarly in person as it is in the pics. Wrench and the Chi-$$$ crew put our test sample through some serious testing and it walked away in mostly one piece. Personally, I am wayyyy too lazy to build a kit, therefore I’m out as they come, but as the Demon is going to be a big seller, I can cross (Cross?) my fingers for an RTR version. And lastly… how about that Traxxas E-Revo 2.0? It was “officially” announced on Tuesday and I thought it was pretty cool that Traxxas decided to give it an update. The original E-Revo was one of the first vehicles to really be able to use 6S LiPo power. It helped take the state of extreme bashing to a new level. While the new version doesn’t look radically different from the outside, it is insanely beefed up inside. It literally looks like the vehicle that we need to use for all our rc demos. Why that purpose? Because to put on a great, not a good, but a great demo, you gotta have trucks that can do crazy tricks, plus they gotta hold up. Right now there just isn’t a truck that can withstand the abuse of repeated demonstrations, but after looking at the 2.0, it looks like it might be the cat’s meow. For a normal consumer, the 2.0 should be beefy enough to take all sorts crazy jumps and extreme bashing with minimal breakage. Any which way, we can’t wait to check one out, we have a giant quint down at the local track that we wanna clear. So there ya have it, and there ya are, THE Cub Report is a wrap. Also, if you wouldn’t mind, drop by your local hobby shops and bash spots when ya get a chance.